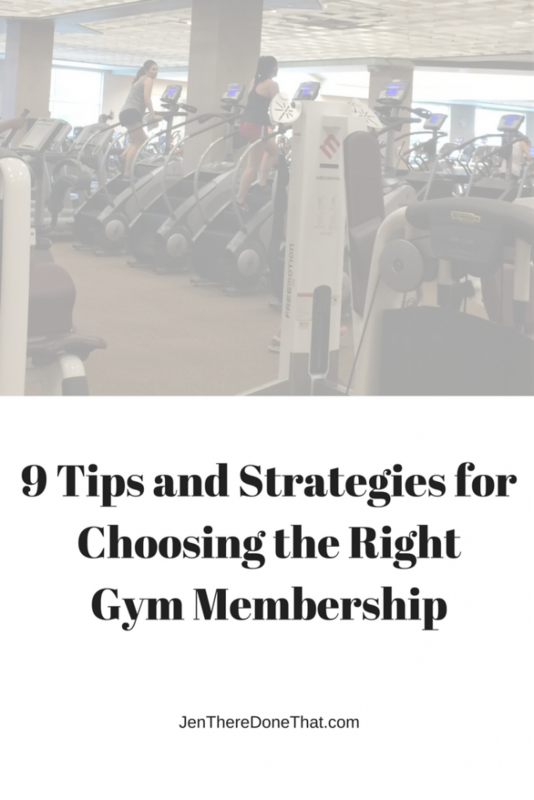 Cost, commitment, location, and options that fit within your budget are just some of the factors that should be considered when choosing the right Gym Membership for you. Here are 9 criteria for you to consider. Let’s start with the Monthly Price – Unlimited or pay by session? Many gyms do not advertise their rates deliberately, so this may be the LAST piece of information provided about a specific gym. They want you to come in and speak to them, and many go into high pressure sales. Look for free day pass offers and do not feel pressure to sign-up that day. Negotiate to reduce or eliminate one-time sign-up fees (I have never paid for the privilege to join a gym, above the monthly fees). Location– Close by, or on the way to/from work or home will encourage you to go. Take distance out as an excuse not to go. Childcare options– Many gyms offer childcare while you workout. Getting that hour break to workout away from your child may help your mental and physical state. What, if any, is the additional price for childcare? Do you need to make a childcare appointment, or are there set drop off times? Operating Hours– Do you need a gym open 24 hours a day or just during certain times? It is nice to know the gym is always open, and may be worth the extra price. Is an Appointment required? Certain fitness studios require appointments for each session. There are hefty fees for late cancellation or missed appointments. This may be the extra motivation that you need to workout, or it may cost you dearly. Know your workout style and schedule, and be honest if this is good or bad for you. What is included in the membership price? Is this just access to the cardio equipment and free weights? Are group fitness classes included? Is there an additional fee or rental gear for the rock wall? Compare amenities between multiple facilities, and really consider if you currently use or realistically will use a feature, and how much is that worth to you? Whatever facility you choose, it should be clean, well-maintained, and a safe environment. Before you sign any contract, make sure you understand the duration and cancellation policy. Some shady places sign you up for a very difficult to cancel multi-year gym membership. The contract duration locks in the monthly fee for that entire time (or it is a really bad contract). Month to month membership allows you to leave at any time, including as a response to a rate increase. After addressing all the important points above, you may decide the best gym is your home. There are some great at home workout programs, pop in a DVD anywhere, anytime you want a workout. Or stream your workout on demand from any internet connected device, there are plenty of options inexpensive and FREE options. Compare everything above to find a workout facility or Fitness program that is a good fit for you! Fitness options are not one size fits all.